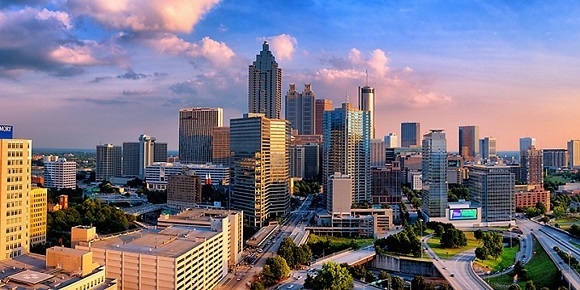 Enterprise applications company IFS staged its annual user and customer conference this week in Atlanta, Georgia. As one of the technology industry’s TLA (three letter acronym) named firms (and yes, we know you can think of some others), IFS actually stands for Industrial and Financial Systems. Fitting enough coincidence then that IFS’s main areas of technology development are also TLAs. IFS specialises in industrial cloud software deployments with a specific focus in areas including Field Service Management (FSM), Enterprise Asset Management (EAM) and Enterprise Resource Planning (ERP) systems. Due to its recent acquisition of mplSystems, IFS also has a focus on Customer Engagement (CE) software… or Customer Engagement eXperience (CEX) if you want to keep the TLA theme running. Newly installed IFS CEO Darren Roos has joined IFS from SAP where he led the company’s cloud ERP business. Speaking at the IFS World 2018 itself Roos explained that his first task on day #1 was to email the company’s top 60 customers to assess how they felt about IFS. “Of those 60 emails I think we got about 50 replies. Of those 50 we had about 47 very happy customers, but there were two or three that had a few misgivings for whatever reason. So what I have done is work very closely with those firms (and all the others too) to find out how we could do more. Those customers are now some of our most vocal advocates and are extremely happy about what IFS is doing and where we are going as a company,” said Roos. IFS used its World Congress 2018 show itself to stage a live ‘labs’ element to assess what its users might most want to see from its application suite. The main product development news for this show was centred IFS Applications version 10. This software is described as ERP suite designed to help capitalise on industry trends such as automation, connected devices (IoT) and servitization. In terms of how the product set has been updated, IFS Applications 10 includes specific technology enhancements designed to support service-focused organisations. This software has special relevance for firms like manufacturers with service or aftermarket operations. Among the major updates for IFS Applications 10 are the ability to manage service work and contract quotations directly in the CRM module, enhanced support for multi-person and multi-occurrence work execution, continued investment in IFS Mobile Work Order, better management and visualisation of resource demand and utilisation, cost control and work in progress accounting along with new capabilities to engage with customers across the service lifecycle and manage work outsourced to contractors. New here is IFS Aurena, an employee engagement and productivity tool with its own ‘bot’ that allows users to interact with the system via voice or textual input. The IFS Aurena Bot can be used by employees and managers to ask questions in natural language, as well as perform transactions such as registering absence or applying for leave. This software can be accessed from popular communications tools such as Skype, Skype for Business and Facebook Messenger, as well as from within the IFS Aurena user experience. Personalisation functions at the top tier to be able to custom-align software to the specific requirements (including look and feel) that each customer demands. Extension (to other platforms and third-party plug ins) and also, Localisation. Platform and templates at the bottom. Looking at IFS’s work on extensible connectivity, IFS Applications 10 is build with open micro-service organised APIs developed according to the latest RESTful principles and the OASIS oData standard. The firm says this is to ensure easy integration of data and processes in IFS Applications with IoT and AI technologies, Microsoft Office365 and most other modern cloud technologies and SaaS solutions. IFS CTO Matthews gas said that IFS Applications 10 contains more than 500 new capabilities, almost all of which reflect requests made by customers and early adopters who helped with the development of the product. In summary here, we can say that this is IFS positioning itself as a mid-market ERP player focused on service-centric organisations — and that means services as is cloud services, services as in service requests inside digital business structures and services as in a go-to-market strategy where the customers themselves are moving from selling product to one where they sell services… and ultimately, towards selling ‘business outcomes’… that notion of results-based economics that appears to stem from fully-blown acceptance of the services-based operational model.